As I look back upon my 41-year career at Modjeski and Masters, I see that whatever successes I may have achieved during that time are the results of those giants of the firm that came before me. 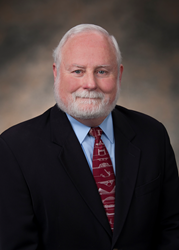 After more than 40 years of experience in bridge engineering and project management with Modjeski and Masters, Dr. Barney Martin Jr., PE, a graduate of Louisiana State University and Tulane University, has announced his retirement from his position as Chief Executive Officer (CEO). During his time with Modjeski and Masters, Dr. Martin. spearheaded the firm’s growth, opening new offices in Philadelphia, PA., Washington D.C., and Raleigh, NC. With his progressive outlook, he led Modjeski and Masters to its first acquisition in the firm’s history in 2015 when Littleton, Colo.-based Summit Engineering Group, Inc. was acquired, bringing extensive expertise in segmental concrete bridges to the firm’s dossier.